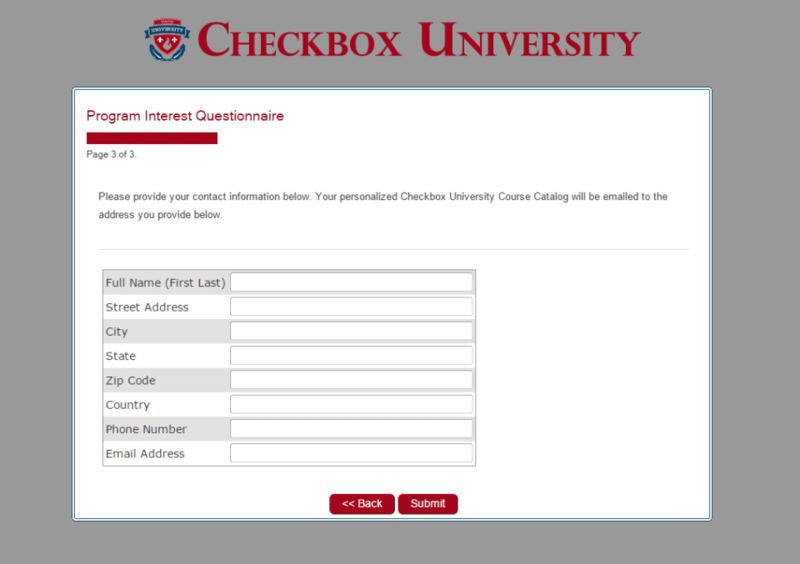 What is Checkbox Survey ? 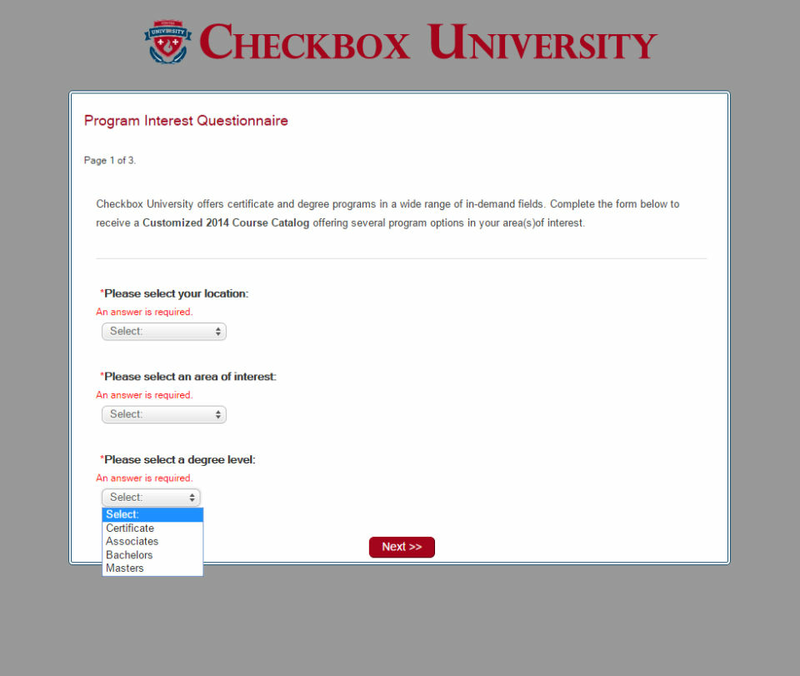 How much does Checkbox Survey cost ? 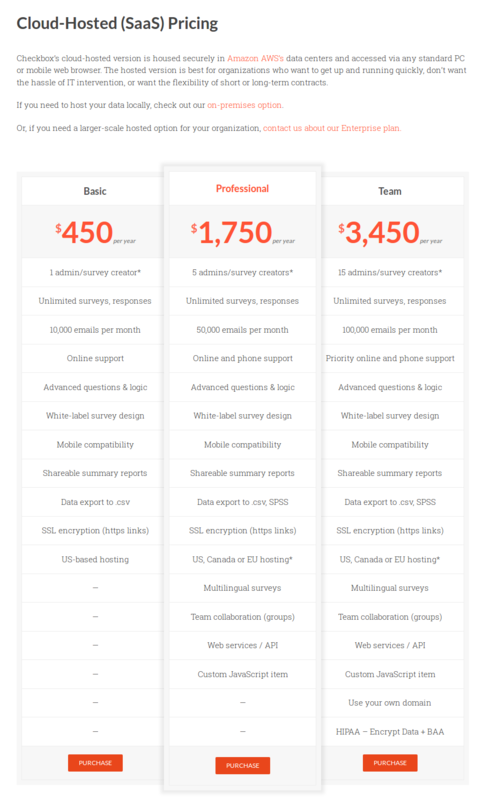 The pricing for Checkbox Survey starts at $450.0 per year. 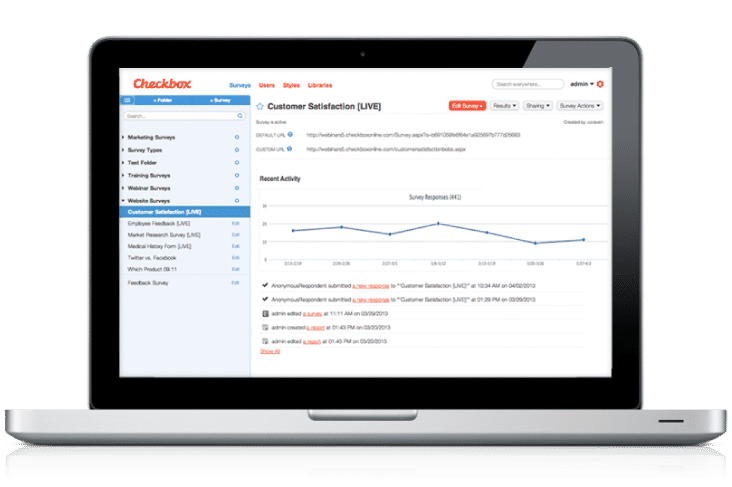 Checkbox Survey has 5 different plans such as - Cloud-Hosted (SaaS) Pricing Basic at $450.0 per year, Cloud-Hosted (SaaS) Pricing Professional at $1750.0 per year, Cloud-Hosted (SaaS) Pricing Team at $3450.0 per year, On-Premises (Installable) Pricing Server License at $4900.0 and On-Premises (Installable) Pricing Developer License at $9900.0. 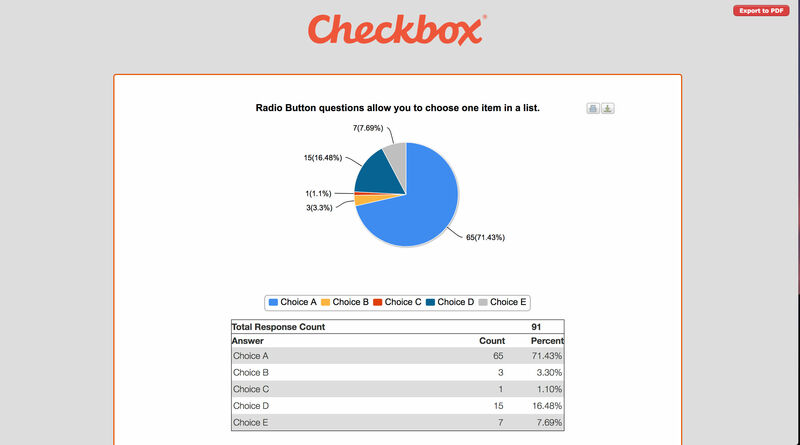 Checkbox Survey also offers a custom plan based on the customer's request. Please Contact the Organization for the Pricing Details. For a Larger Team, Please Contact the organization for the Pricing Details. Pros: The price on this versus other survey software was a big factor. some of them are very expensive, so if you are unsure of whether you will get responses and results, making a smaller investment is wise. It has the same features as the others, but was several thousand dollars less annually. Cons: The web interface is a bit klunky, and can be slow. Also, the way security is set up is strange, because you set it up on a folder, then an individual survey. It is not the most intuitive interface, but once you get used to it, it gets the job done. If cost is a key point, you should check it out. Overall: Overall, it has been good. The support has been decent and they are coming out with a new version that may provide a better interface and faster response. It does what it purports to do, so we are satisfied so far. Comments: We conduct surveys to measure our progress in all aspects of our nonprofit. A checkbox has helped us maintain accurate records of college students (our scholarship recipients) academic progress. We've been able to track event attendees option of different fundraising aspects, helping us to improve next year, as well as learn about our supporters. Comments: If you are not in a hurry, this is great. Surveys are nice, data collection is wonderful but it is sooooo slow you will pull your hair out creating a survey! The university I work for bought this and we must use it over survey monkey. Pros: We struggled with client-vendor communication for years before Checkbox. With customers all over the country it's difficult to determine what everyone's needs are without asking them directly. Our goal was to find a product that would allow us to quickly and easily touch base with and collect feedback from these clients. We achieved that goal using Checkbox. The interface is extremely user friendly. I find the variety of question types to be more than adequate, which enables me a lot of flexibility when creating my surveys. The charts and graphs in the reports are great for presentations and I've even used some of our statistics as selling points. 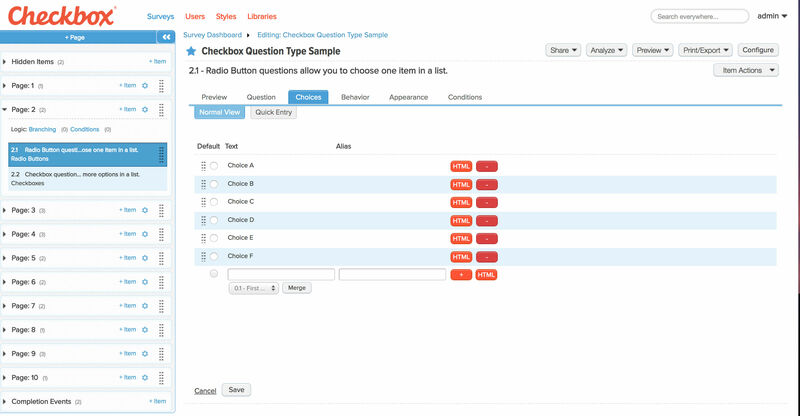 The open responses are the most beneficial to us and we've found that nearly all of our customers have something to say, which we never would have know without Checkbox. Cons: The only con I can think of is the template choices. 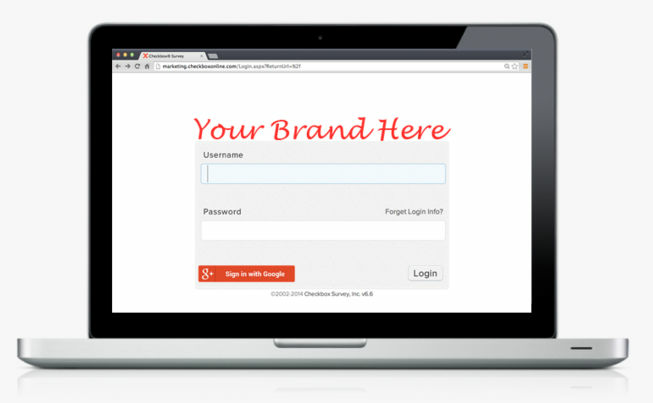 The template manager easily allows you to incorporate your branding into surveys and the template we use works great for us, but I can see how some companies might like to see a few more ready-made options. 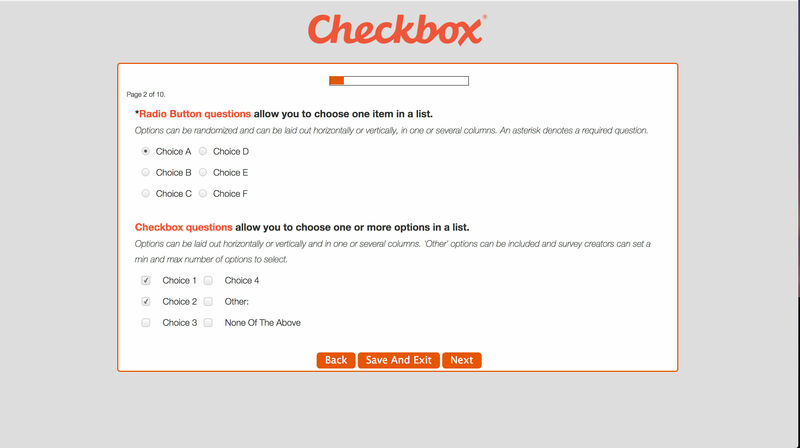 Overall: Checkbox survey software completely meets our needs. It was easy to learn and any questions I have are always promptly and clearly answered by the Checkbox support team. I can get surveys out very quickly and the response rate has been so high and the feedback so helpful that I would highly recommend this product to any company that values its customers.